The four playable main characters from our next murder mystery visual novel GENBA no Kizuna! 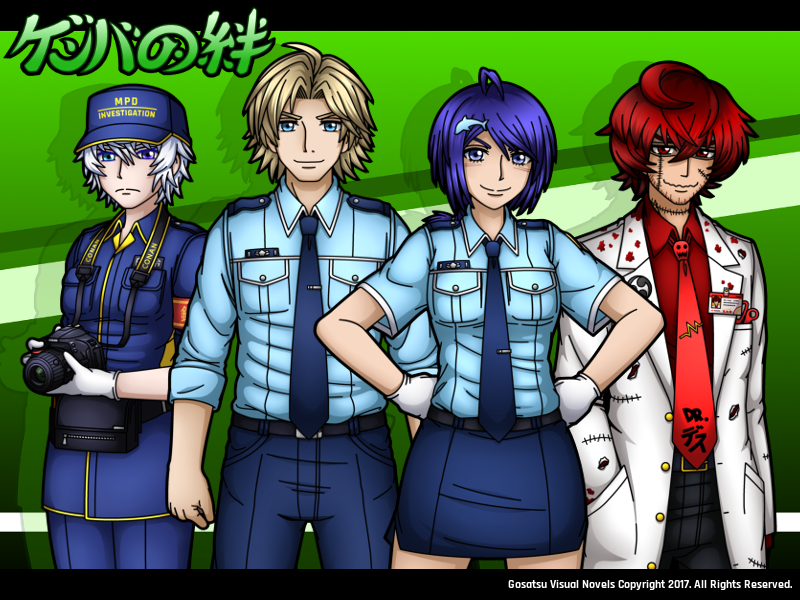 From left to right, we have: the forensic investigator Rei Shirayuki, the two police officers Keiichi Genba and Himatsu Mizu, as well as the medical examiner Dr. Shinketsu Kikai. 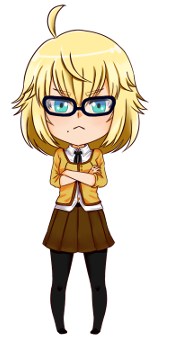 We have shared their character introduction cards on Twitter, containing some small tidbits (age, likes, dislikes), which will hopefully give you an idea as to what they are like. If you have missed any of that, click here to take a look! You will switch between these characters throughout the game, experiencing the story through each of their eyes. Each of them has their own tasks to fulfill during the investigation, affecting the various gameplay elements. For example, only Dr. Kikai will be able to examine the victim’s body and determine the cause of death. There are numerous things only certain characters will be able to do (which we will get into some other time), and only through their combined teamwork will they be able to uncover the truth. However, as some of these characters are still rookies and it’s their first time working on a case together, they first need to figure out how to effectively work as a team. That’s the core idea behind GENBA no Kizuna. Of course, there are many more characters you will encounter throughout the game. Aside from the obligatory victim(s) and a number of suspects, there is actually another member of the police force on the scene and maybe a witness or two. But that is also something we will get into some other time. The last thing I want to talk about before wrapping this up is… SHINRAI. Or rather, GENBA’s connection to it. Some time ago, I mentioned that there was something we were working on, which we will end up using in both our new projects. GENBA as well as Withering Without Hope, the actual sequel to SHINRAI. The four characters above are what I was talking about. After all, the police will be heavily involved in Raiko’s second case as well. I will elaborate on this and everything else some more in the future. It will still be a long while before GENBA can be released, so there’s more than enough time to do so. Before any of that, however, it’s probably time to finally shed some light on another big, remaining question: what does all of this have to do with dinosaurs? After all, I originally referred to GENBA as the “dino project” and we did specifically wait for Jurassic June to reveal more about it. Well, we will get into that very soon! Until then, please enjoy yourselves and take care!